Ranked 21st in the world by DJ Magazine, Judge Jules, aka Julius Oβ€™Riordan, became famous through his DJing in clubs and on his radio show. He started off in pirate radio but now has a slot on Radio 1, and you can catch his sets as well as interviews with other massively known DJs. Judge Jules produces work under the name Hi-Gate with Paul Masterson and under his own DJ name. He also spins at his regular Judgement Sundays at the Eden club in Ibiza for the whole of the summer season and at a large number of clubs in the UK, such as Turnmills (London), Garlands (Liverpool) and The Honey Club (Brighton) as well as many others. Judge Jules is one of the most famous English Djs touring the world and pleasing the crowds. 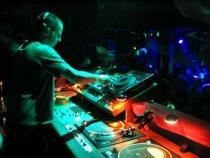 He is a top notch DJ and music producer and has left his mark on the dance scene. o	June 2000 "It's My Turn"
o	February 2001 "Can't Keep Me Silent"
o	November 2001 "Stay With Me"